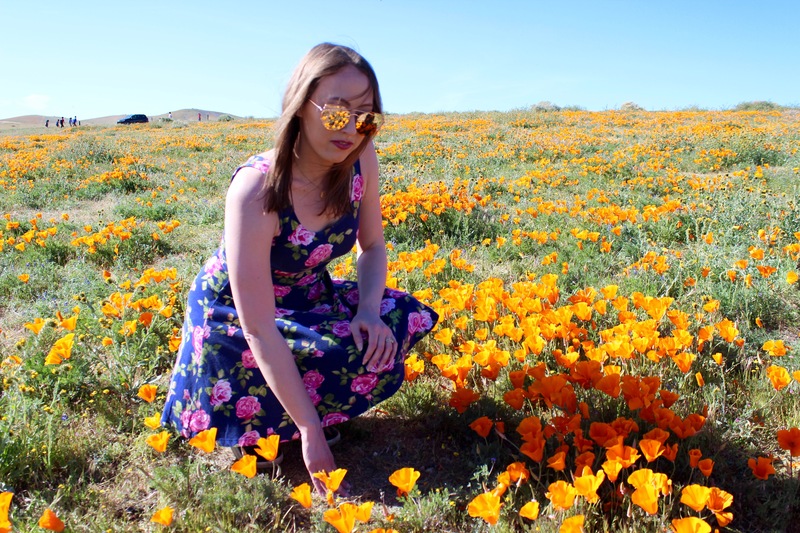 Last weekend, my husband and I ventured to Antelope Valley California Poppy Reserve to see the super bloom and it was incredibly gorgeous! 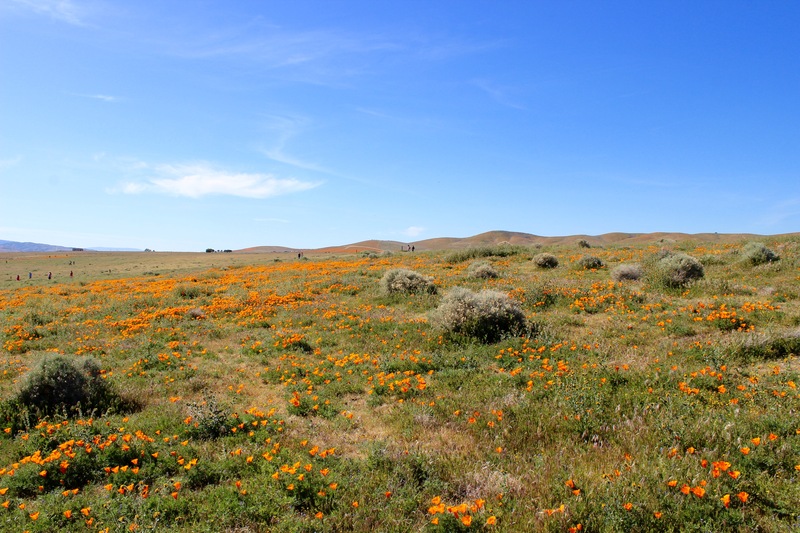 Since California experienced heavier than normal rain this past Winter, the state is now covered in beautiful wildflowers. 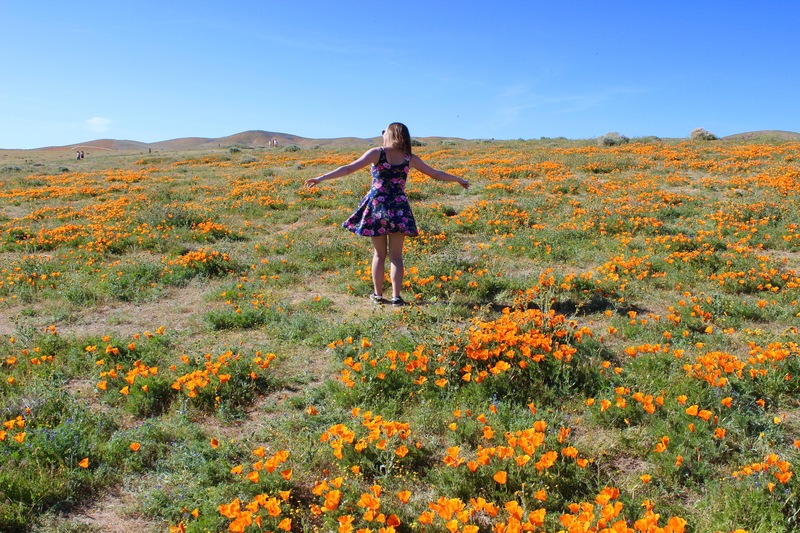 It’s become quite the trendy thing to do for Californians this year, but it really is worth the trip. 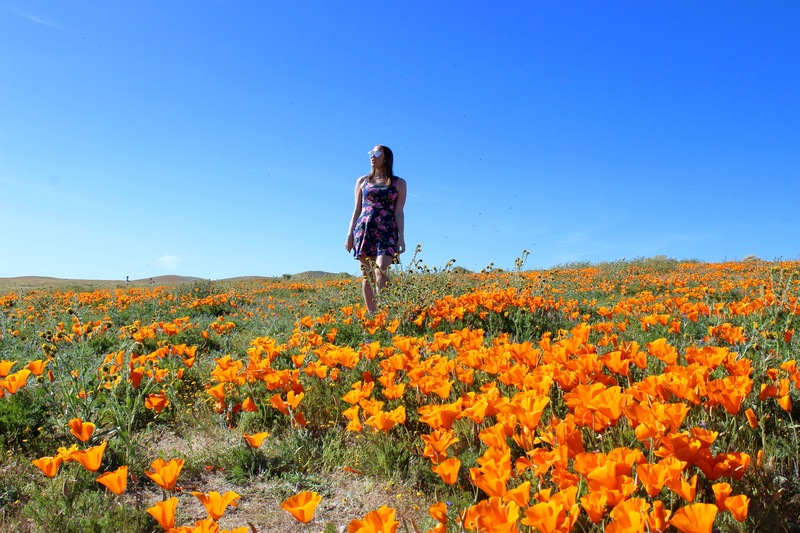 Antelope Valley California Poppy Reserve is located in Lancaster, California (15101 Lancaster Rd, Lancaster, CA 93536 to be specific) and it’s about a 1 hour and 40-minute drive from Los Angeles. David and I went on a Saturday and the reserve was pretty crowded. 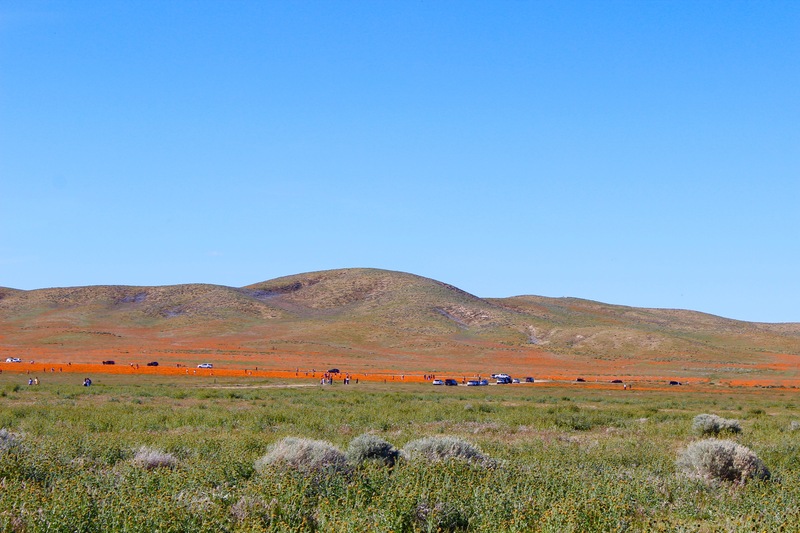 Word had DEFINITELY gotten out about the beautiful poppies. But, it was easy to find a quiet spot once we drove further into the reserve since most people just plopped right out of their car and into the reserve at the entrance. It was a dreamy, fairytale-like scene once we actually got to walk into the reserve. 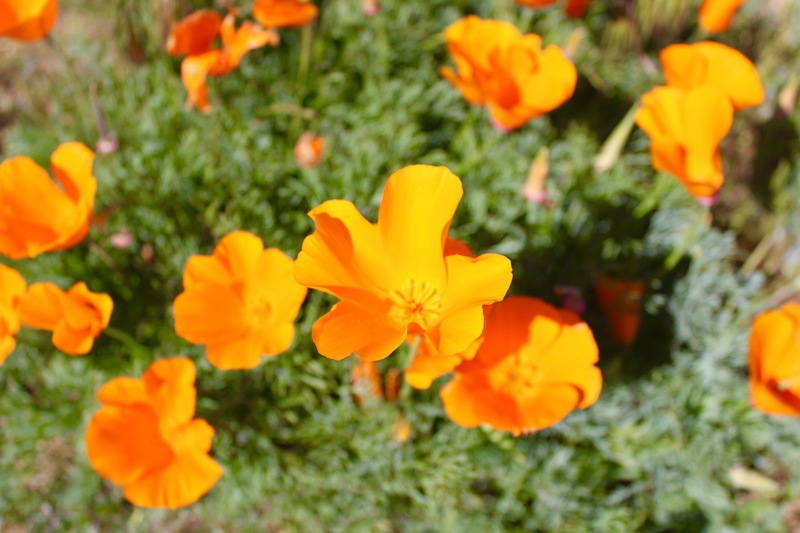 The bright, orange poppies glowed in the sun and lined the bases of rolling hills with their fiery colors. It all felt very Sound-Of-Music-like. We spent many hours at the reserve taking videos and pictures, and the just sitting there on a remote hill talking about life. Overall, a magical experience! Park far away from all the other visitors and walk to the flowers. 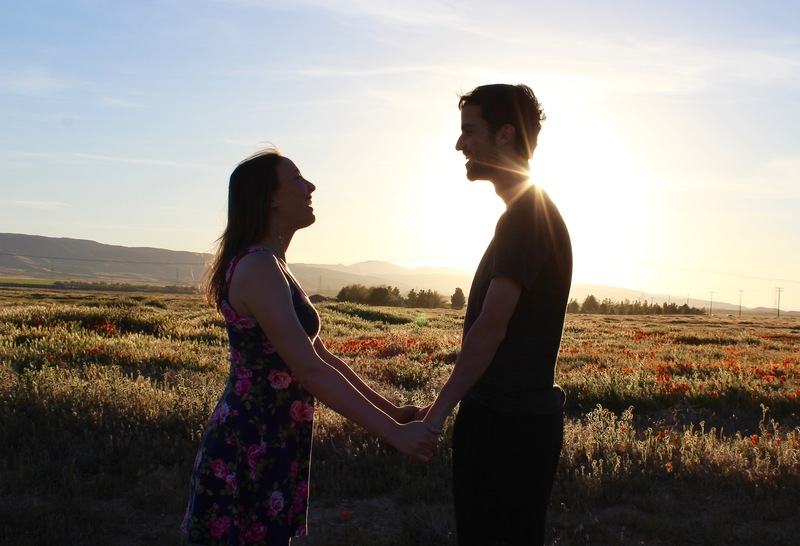 You’re more likely to find a secluded spot. Watch out for snakes! Apparently, there are rattlesnakes at the reserve, so be alert. I didn’t see any though. 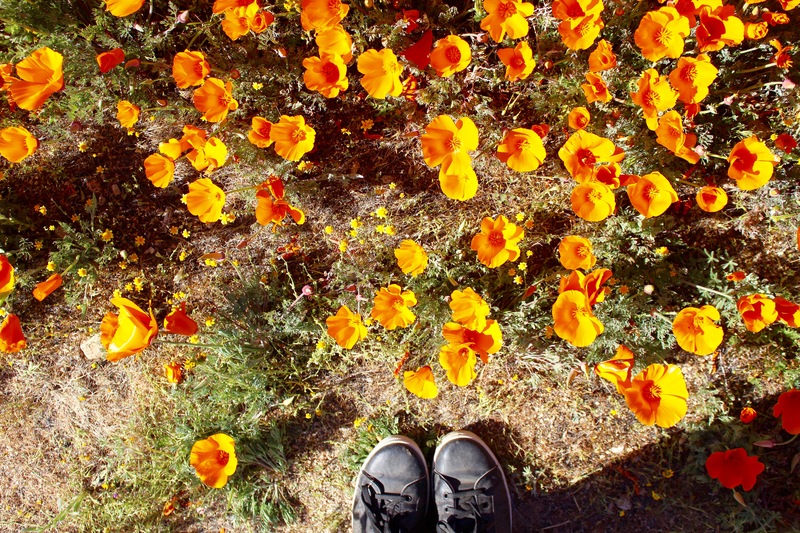 DO NOT step on the flowers. I saw so many people doing this. Some parks have even closed down due to tourists doing this. 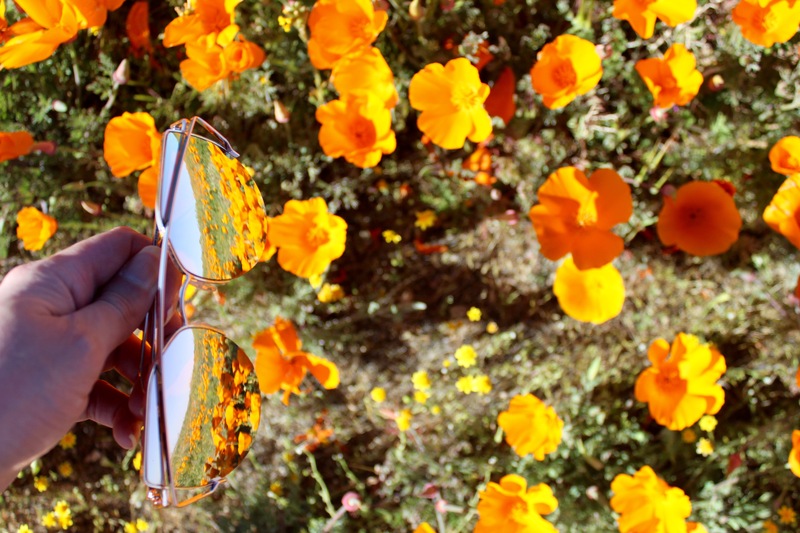 The flowers are beautiful, living things, so make sure to respect the scenery and actively try not to stomp on the flowers. Bring a towel or blanket. 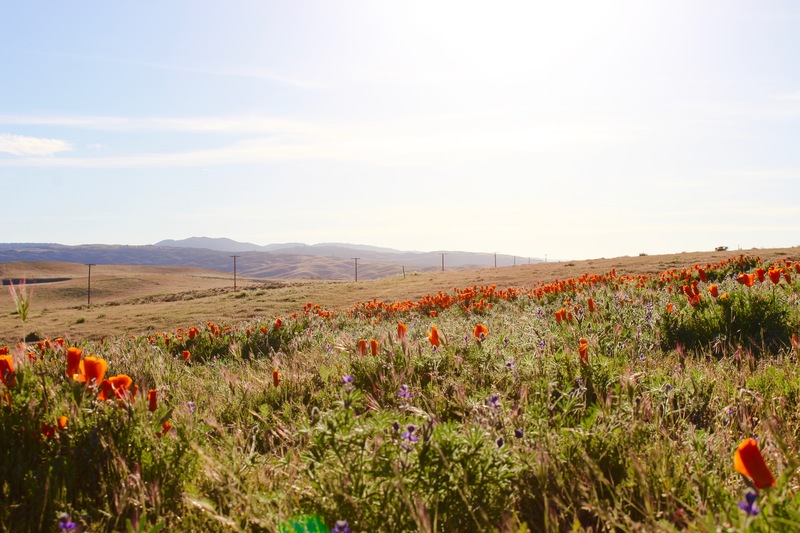 If you cant find a green spot with no flowers on it to take in the view, it’s so wonderfully serene! Bring sunscreen! This one is a no-brainer. Come around sunset. I recommend this for almost any destination, but there are few things more glorious than watching the sunset in a gorgeous location. 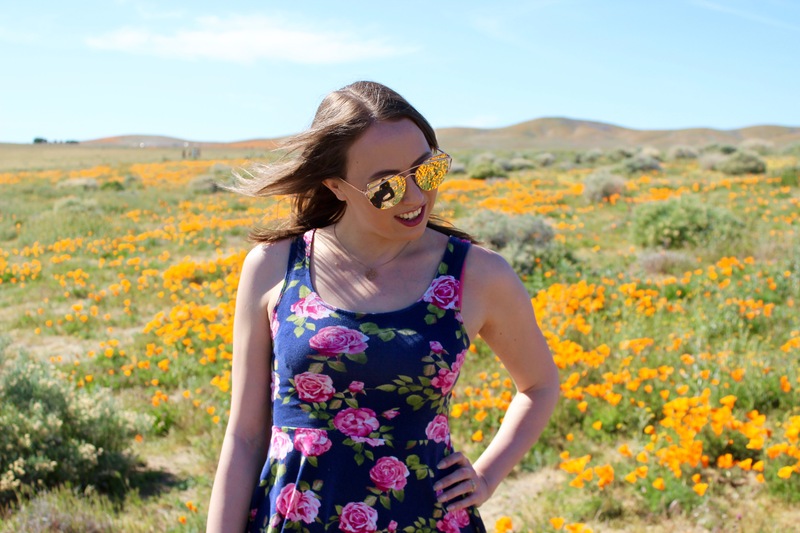 I hope this blog post helps you plan your road trip to see the super bloom! Safe travels!